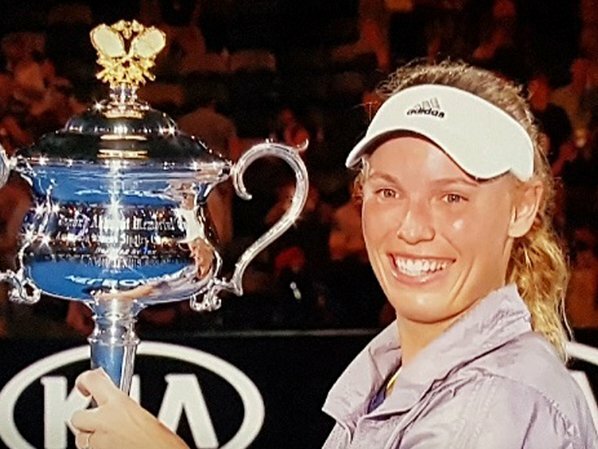 CAROLINE WOZNIACKI – WINNING THE 2018 AUSTRALIAN OPEN. we congratulate you, Caroline and we are proud of having been at your side for so many years. DO YOU NEED THE BEST HEADACHE TREATMENT IN LONDON? DO YOU NEED THE BEST BACK PAIN TREATMENT IN LONDON? DO YOU NEED BEST SCIATICA TREATMENT IN LONDON? DO YOU NEED SHOULDER PAIN TREATMENT IN LONDON? DO YOU NEED BEST WHIPLASH TREATMENT IN LONDON? DO YOU NEED THE BEST SPORTS INJURY TREATMENT IN LONDON? Above are just a few of the conditions we specialise in. Our osteopaths and physiotherapists in Central London Osteopathy and Sports Inury Clinic have treated about anything possible – but if you should present with the most complicated injury, we might have to put our heads together. Certainly if you look for the best osteopath near me or the best physiotherapist near me, we hope that you will not be disappointed with us. Central London Osteopathy and Sports Inury Clinic is reputated for efficiency and the best care, and that is why we look after more of the best athletes than probably any other osteopathy clinic in London. In the 2011 athletics world championships, 5 of the 8 finalists in the men’s 100m had in common that they have had treatments from practitioners of the central london osteopathy and sports inury clinic. That might be a world record? workstation set-up’s on ITV’s breakfast show. Stephanie used to be an International track athlete and competed at two Olympic Games (1992 and 1996), and at the World Championships representing Team GB and she is still in the UK’s Top 20 all time of fastest women over 60 and 100 meters. She has won both silver and bronze medals at the Commonwealth Games. She is a really popular sports massage therapist and fits well into the high standards of the Central London Osteopathy and Sports Injury Clinic with her first hand understanding through her own elte sports background. She provides a range of advanced sports and remedial massage techniques in order to prevent and treat injuries, optimize the healing process and maintain your body in tip top condition. Stephanie’s aim is to help each client maximize the potential of their body in order that they can perform to their best, in work, in sport or at rest. This can be achieved through regular treatment, education and body awareness. She is a fully qualified sports massage therapist with a Level 4 Diploma in Sport & Remedial Massage, and aims to use all her skills acquired in providing a first-class service to clients. Stephanie is also registered with the Sports Massage Association (the leading independent professional body for Sports Massage in the UK). It was one of the biggest British athletics meeting of the year, where all the top athletes meet up to compete against each other. I was so really looking forward to this event because my season was going well and it was on my favourite track, Crystal Palace. I remember seeing all of my competitors in the Warm up area, and that's when the nerves kicked in. Every things was going great with my warm up, I was feeling sharp and quick over the hurdles. My coach and I were pleased with how I was looking. We decided to do one more run from blocks over three hurdles before I got called up. I remember coming off the third hurdle thinking to myself these guys are in trouble today, then thinking who the hell is walking across my lane. I had to quickly slow myself down to avoid crashing into the person. That's when I felt a sharp pain shooting down the middle of my lower back. The next thing I know I am on all fours in pain. With all the Commotion around me I tried to stand up, but Couldn't. That's when I knew this race was not going to happen. Then I heard this foreign accent, saying that he can help. He introduced himself as Torben an Osteopath. Looking up I saw this tall slender man and with two clicks I could stand. With that he offered to treat me for a week, so that I could get back to compete as quick as possible. As a man of his word, I remember looking out of my window and seeing him pull up in his green jaguar, pull out his treatment table and make it up to my apartment which was on the top floor, no lifts just stairs 58 steps I can remember. Because he made it up those stairs for a week to help me, I knew then this was the guy I would go to if I had any problems and with that it sparked off a long friendship. You could not ask for a nicer or more loyal friend than Torben. 400m Relay Olympic Gold Medalist, World Record Holder and World Champion. Christine Ohuruogu – 400m double World Champion and Olympic Gold Medalist. “The only man who touches my back (when there are problems) is Torben. He is THE BEST. When I was told my back would take 2 weeks to fix – Torben had me on my feet in 2 days. osteopathy for actors and sports people. Central London Osteopathy and Sports Injury Clinic originally started with only osteopaths and sports massage therapists, hence our name, but since many years we had some new complimentary therapies added incl. physiotherapy and acupuncture. Whether you have back pain, frozen shoulder, post surgical knee pains and you are not sure to see an osteopath or physiotherapist – our advice is either of them, since our physiotherapists are very much hands on and you can expect effective manual treatment. Although you might have experienced physiotherapists elsewhere only giving rehabilitation exercises & ultra sound and therefore believe that physiotherapy is not addressing the problem as instant as osteopathy, here we deal with clients who put foremost the need to get out of pain and better urgently. Many of our clients come for a back pain or sports injury and therefore wish to have osteopathy or physiotherapy, and a common question is: “should I see an osteopath or a physiotherapist?”. The answer is quite simple: As the physiotherapists in Central London Osteopathy and Sports Injury Clinic are very much hands on in their approach, and our osteopaths deal a lot with muscle injuries, we recommend either an osteopath or a physiotherapist. DO YOU NEED THE BEST TENNIS ELBOW TREATMENT IN LONDON? DO YOU NEED THE BEST ANKLE SPRAIN TREATMENT IN LONDON? DO YOU NEED BEST KNEE PAIN TREATMENT IN LONDON? DO YOU NEED HAMSTRING INJURY TREATMENT IN LONDON? DO YOU NEED BEST BACK PAIN TREATMENT IN LONDON? DO YOU NEED THE BEST NECK PAIN TREATMENT IN LONDON? Are you in pain and not able to get better, please see one of our physiotherapists.